We offer more round trips per day, so we are always ready to take you to your destination. Parking in Banff can be expensive, everything in Banff is easily accessible by foot. The Banff Airport team is made of up people passionate about sharing the mountain lifestyle with you. Travel in style in your high-back recliner with 110V plug-in, individual temperature control, large touring windows and TV’s. Custom made passenger entry door is virtually silent, even on windy days. Large tour windows offer peak to peak visibility and extra glass thickness provides warmth and sound proofing. Air suspension offers a smooth, constant ride quality regardless of passenger load. Rear air conditioning moderates air temperature in both summer and winter. We employ and train all of our drivers locally. Your driver likely has a mountain passion like hiking or biking in the summer months and skiing or snowboarding in the winter. Feel free to talk to them. They are excited for your stay. 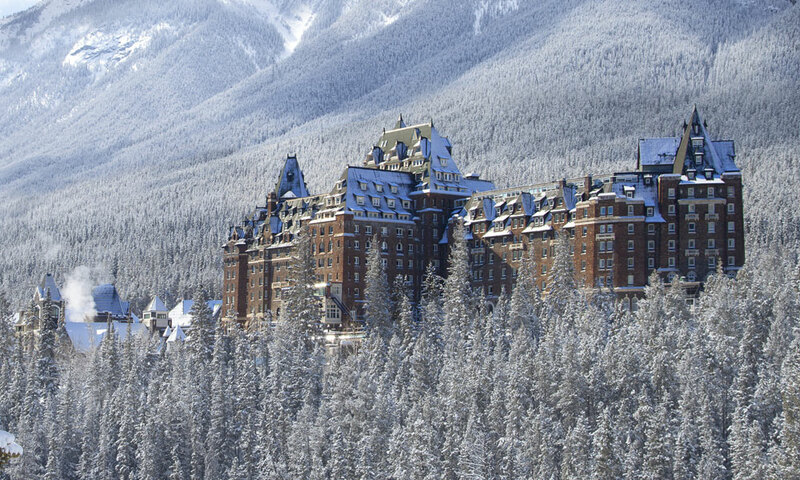 Use them as the inside track for tips on what you’ve got to do while in Banff. 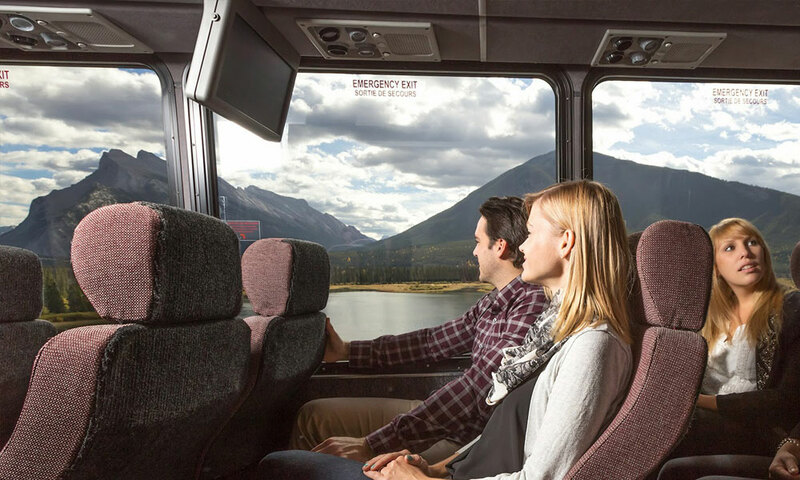 From the airport to Banff is approximately two hours, we encourage you to sit back and relax and enjoy the view! You’ll get your first glimpse of the spectacular Rocky Mountains across the horizon as we depart YYC. Or work, if you like we have power outlets on-board. We are leading the way in hospitality. In the Town of Banff we offer door-to-door service. This service is a great convenience to our guests. Some may say that it can lead to a “milk run” around town. We’d like you to know that we’ve been at this for almost two decades. We coordinate each and every pick up or drop off list and frequently will have a second vehicle help with drop offs so that you get to your hotel in the allotted time.